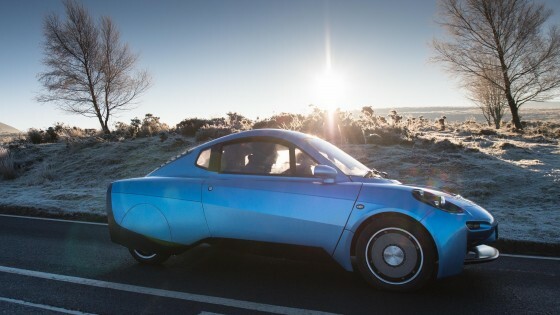 A British startup has unveiled a working prototype of a zero-emission car that runs on hydrogen and is about to hit Europe’s roads. The super-simple Rasa design created by Riversimple has only 18 moving parts and can run for 300 miles on just over 50 ounces of hydrogen. The potential gasoline killer works by passing hydrogen through a small 8.5 kilowatt fuel cell, that combines with oxygen to form water and electricity, which then drives four motors inside the vehicle. More than half of the the energy produced when braking is recovered by super-capacitors in the car and is also turned into electricity to boost acceleration. The Rasa is about to start testing in Europe and a public beta with 20 customers is slated for later this year, with plans to get to market in 2018. It currently has a top speed of just 60mph, so it won’t beat a Tesla in a race, but the range of its prototype exceeds even Elon Musk’s electric cars. Unfortunately, even more so than electric vehicles, the fuelling infrastructure is not in place to support these kinds of cars yet. But with big names like Toyota, Nissan and Honda exploring this kind of fuel technology already, with plans to collaborate on gas stations, this tiny Welsh machine might yet be an early leader in the new ‘good’ car market. One, perhaps major catch, though. You won’t ever be able to own a Rasa as the company is planning to launch them on “subscription,” essentially a lease model that includes services like vehicle repair as part of the package.